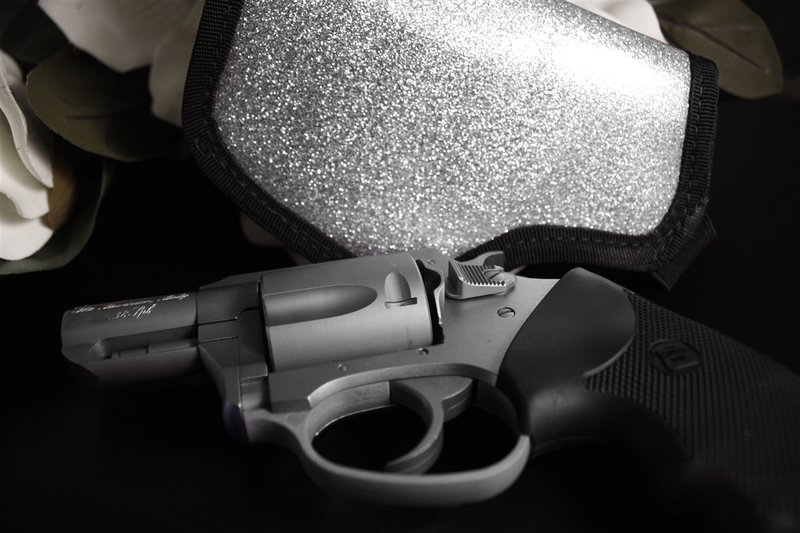 Silver Sparkle is as beautiful as a night sky filled with stars. This holster is a shimmering wonder made of nylon and fabric for comfort. 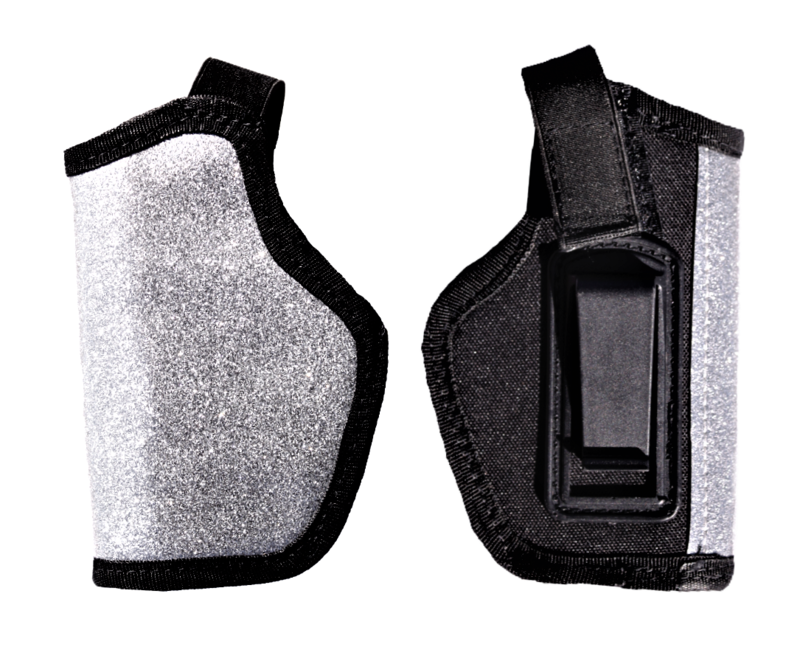 Enjoy the beauty of this universal compact, right handed concealed carry holster. Use the velcro safety strap for car or purse carry and tuck in the strap for right conceal, cross pull, or left open carry.